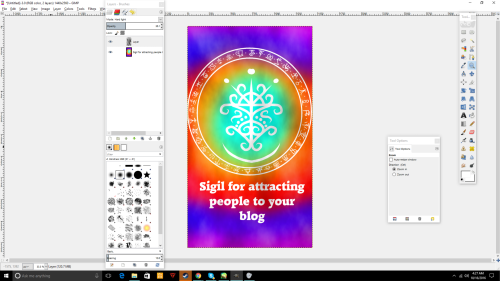 So I’m going to show everyone how I make my sigils. So I guess here we go. Step by step time! What you’re going to need is a pencil with a piece of paper, paint tool Sai, and gimp 2. 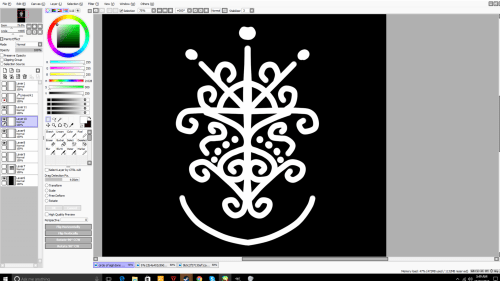 1) First thing were going to need is a statement of intent to make a sigil for. This can be pretty much anything. Just a statement to show our will, and what we desire to get from it. 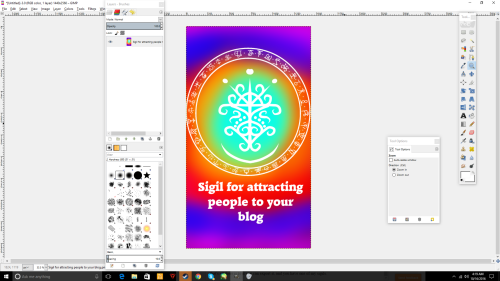 I think for the purposes of this tutorial I’m going to pick the statement of “People are attracted to my blog”. 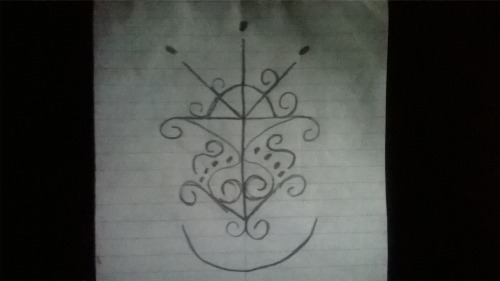 Most of the time I would put this statement as present tense, but I have also done work in past tense, and future tense, and it has not change the effectiveness of my sigils in any way. 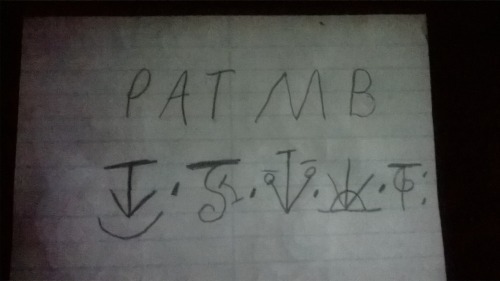 3) Once I get these letters I transfer them over, and put them into my alphabet of desire (The Ravens Of Antimony). This brings in some of the energy from each individual Raven that the sigil is made from. The Ravens of antimony can be found “Here”. For this tutorial I would get something like this. 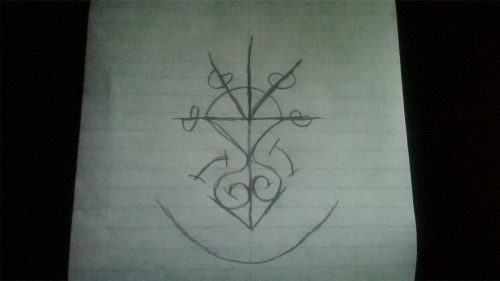 4) Next i would start doing the fun part of the sigil. Which is actually the design part. I would begin by making a basic sketch by putting the Ravens into a design to use as a base. 5) Next I would clean up the design, and make it a little more interesting. 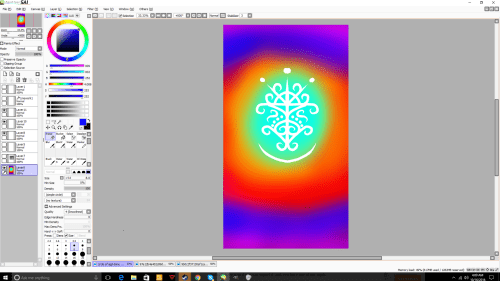 6) Once I have that I would take a picture of it, and put it onto my computer where I would open it in paint tool Sai in a size of 1440 X 2560. 7) Next I would vector the entire hand drawn image with the color white. 9) Next we are going to be coloring the background. For this I usually choose colors that have to do with the statement of intent. I also take special care to lay out the colors in the background in a specific way that I feel represents the statement of intent. 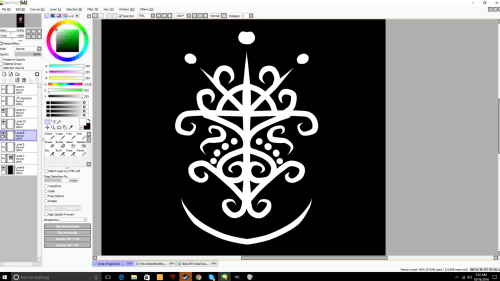 10) Once we’re done with that last step all we need to do is place a sigil surrounding around the sigil, and exported as a PNG. The sigil surrounding I like to use, I would like to call the Raven’s Nest, but it is pretty much just a prettier looking circle. 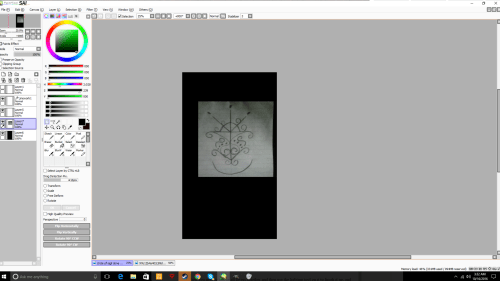 11) Now we’re going to throw what we have into gimp 2, and we’re going to add a description beneath it using text tool. 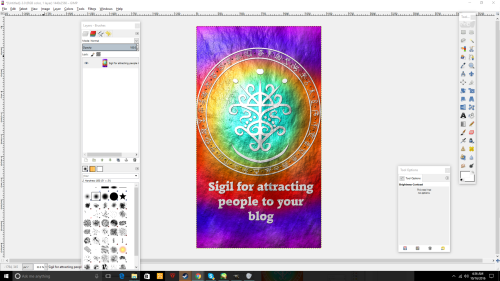 For this description I usually put what the sigil is supposed to do in future tense to make it more appealing, and to clearly communicate what it is supposed to do. 12) Next we’re going to render solid clouds above the image on a separate layer. once we have rendered the clouds were going to switch this layer down to hard light, and then merge on top of are previously existing image. 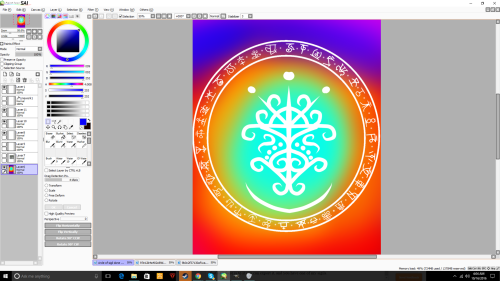 13) Now you need to merge all layers together, and then use the lighting effect tool with the bump map on it to finish it up, and that’s all there is to it you can export it, and you have one of my sigils.